RF World is your source for RF Microwave engineering news, components, and companies. Read the latest RF press releases and view different RF components and the companies that offer them. You can even add your company and info for more exposure. Explore RF World today! Searching for RF components? Take a look through our components direct to find the parts you’re looking for. 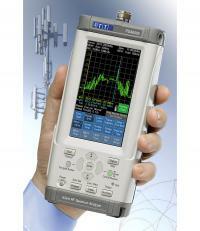 Browse different RF companies and find out what types of parts and services they offer. Explore different RF news articles in our RSS feed. Fox Business Network’s Manufacturing Marvels Features Res-net Microwave, Inc.